A short sale in real estate is not always a pleasant transaction, but short sales have come a long way since 2006, so don't sell the concept short. Our present economy does not mean short sales have gone away. For example, a person who bought a brand new home could die the day after closing, and the costs of an immediate sale could throw that transaction into short sale status. For those who have been underwater for a while or struggled with a loan modification, that's another story. 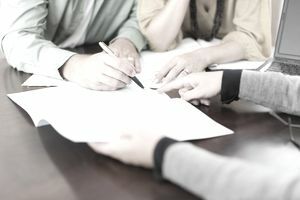 There are many ways to lose a home but signing away ownership in a manner that destroys credit, embarrasses the family and strips an owner of dignity is one of the hardest, and that's what foreclosures tend to offer. For homeowners who can no longer afford to keep mortgage payments current, there are alternatives to bankruptcy or foreclosure proceedings. One of those options is called a "short sale." More than half of my sales in Sacramento from 2006 to 2012 had been short sales. That's how prominent short sales were for a number of years. Today, though, not so much. In recent years, even sellers who are not delinquent might qualify for a short sale, which has opened many more short sale doors. Short sales tend to provide a dignified closure process for sellers. As a real estate agent, I am not licensed as a lawyer nor a CPA and cannot advise on those consequences. Except for certain conditions pursuant to the Mortgage Forgiveness Debt Relief Act of 2007, be aware the I.R.S. could consider debt forgiveness as income, and there is no guarantee that a lender who accepts a short sale will not legally pursue a borrower for the difference between the amount owed and the amount paid. In some states, this amount is known as a deficiency. A lawyer can determine whether your loan qualifies for a deficiency judgment or claim. Most short sales in California carry no tax penalties anymore. Although all lenders have varying requirements and may demand that a borrower submit a wide array of documentation, the following steps will give you a pretty good idea of what to expect. Call the Lender: You may need to make a half dozen phone calls before you find the person responsible for handling short sales. You will want to talk to the "real estate short sale" or "work out" department, and try to get the name of the negotiator. Your real estate agent can also handle this step for you, in many circumstances. Preliminary Net Sheet: This is an estimated closing statement that shows the sales price you expect to receive and all the costs of sale, unpaid loan balances, outstanding payments due and late fees, including real estate commissions. Your closing agent or lawyer should be able to prepare this on your behalf. If the bottom line shows cash to the seller, good news, you will probably not need a short sale. Hardship Letter: The sadder, the better. This statement of facts describes how you got into this financial bind and makes a plea to the lender to accept less than full payment. Lenders are not inhumane and can understand if you lost your job, were hospitalized or a truck ran over your entire family, but lenders are not particularly empathetic to situations involving dishonesty or criminal behavior. Proof of Income and Assets: It is best to be truthful and honest about your financial situation and disclose assets. Lenders will want to know if you have savings accounts, money market accounts, stocks or bonds, negotiable instruments, cash or other real estate or anything of tangible value. Lenders are not in the charity business and often require assurance that the debtor cannot pay back any of the debt that it is forgiving. The bank will also require 30 days of payroll stubs. Copies of Bank Statements: If your bank statements reflect unaccountable deposits, large cash withdrawals or an unusual number of checks, it's probably a good idea to explain each of those line items to the lender. In addition, the lender might want you to account for each and every deposit so it can determine whether deposits will continue. Typically banks require your last 2 months. Sells from the past 6 months. Purchase Agreement and Listing Agreement: When you reach an agreement to sell with a prospective purchaser, the lender will want a copy of the offer, along with a copy of your listing agreement. Be prepared for the lender to renegotiate fees and to refuse to pay for certain items such as home protection plans or termite inspections. Now, if everything goes well, the lender will approve your short sale. As part of the negotiation, you might ask that the lender not report adverse credit to the credit reporting agencies, but realize that the lender is under no obligation to accommodate this request. Credit report status often not negotiable. Can You Short Sale Your Investment Property?